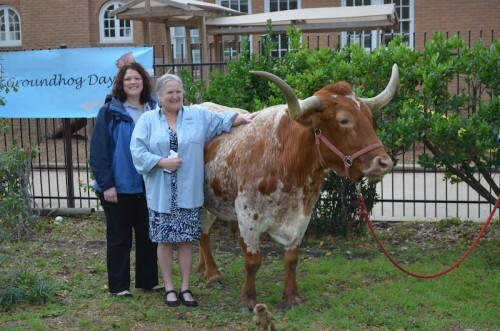 Alamo, the Texas Longhorn, did not see his shadow so Texas should have an early spring. Texas is too big for a groundhog to predict its weather. Maureen Maiuri, executive director of The John C. Freeman Weather Museum, and Jill Hasling make a long-range forecast by drawing a bullseye on the 500 mb level winds, bypassing the usual Groundhog Day method of digging into the surface data..